Stephen Davismoon was born in London and has lived in Scotland since 1991. 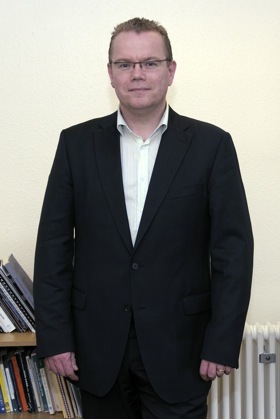 He gained his Doctorate in Composition from the University of Edinburgh in 1996, having studied under Nigel Osborne. His professional experience as a composer began in 1995 and since this time he has composed music for a variety of instrumental and vocal ensembles with and without the use of electronics and has had the pleasure of working with some very distinguished musicians along the way: Roberto Fabbriciani, Die Neue Vocalsolisten, Scottish Opera, The Research Ensemble; Scottish Voices and the Chamber Group of Scotland conducted by Martyn Brabbins. His work has attracted several awards including: ...against the grain (for solo percussion (2 snare drums) and live electronics) won first prize and the Ricordi Publishing Prize at the 12th International Composers Seminar, Boswil, Switzerland in 1997; It Was Spring (for string orchestra) was selected for performance by the jury at the 5th International Composers Forum in Kiev, Ukraine in 1998; Waiting..and the moon?...turns (for chamber orchestra) was selected for performance by the jury for the 1995 ECAT Young Composers Forum and was performed by The Chamber Group of Scotland, conducted by Martyn Brabbins. He has also received several composition scholarships and residencies including: Das Experimentalstudio der Heinrich-Strobel-Stiftung in Freiburg Germany (1996, 1997, 2000), CCMIX studios Paris, France (1998 and 2001) and Tempo Reale Studios, Florence, Italy (2004, 2005 and 2006). His work has received performances in: Britain, France, Germany, Holland, Iceland, Italy, Lithuania, Switzerland, Ukraine and Uruguay. He is currently Head of Music, and Reader in Music at the Ian Tomlin School of Music, Edinburgh Napier University.